As an adult, we’re supposed to teach the young kids how to handle themselves accordingly and have fun while playing a game, but it doesn’t always register with some parents who simply just behave incredibly terrible at youth sporting events. 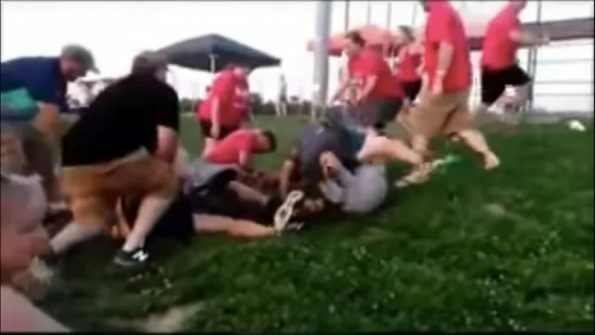 That was the case when a WWE-style fight between two rival youth softball teams broke out this week between parents from both teams at Brickyard Park in Kingsport, TN. The craziest part about this is that nobody was charged for the incident. Must be a normal thing out there in Tennessee.